It’s the unicorn book you never knew you needed … until now! With a beautiful mane so silky smooth, a glittering horn that sparkles in the sunlight and perfectly pink hooves that shine as she gallops, Unicorn is just like every other unicorn out there. Wait – haven’t you heard about her rainbow poop? 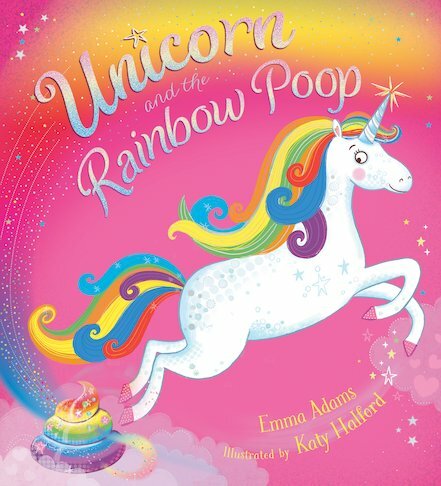 This fully fabulous picture book by Emma Adams and Katy Halford features: unicorns, rainbows, dragons, princesses, fairies, silliness, mischief and RAINBOW POOP!